For ethnic Khmer in Vietnam, see Khmer Krom. Vietnamese Cambodians refer to ethnic Vietnamese living in Cambodia. According to the news said in 2013 there are 15,000 Vietnamese people living in Cambodia. They mostly reside in southeastern parts of Cambodia bordering Vietnam or on boathouses in the Tonlé Sap lake and Mekong rivers. The first Vietnamese came to settle modern-day Cambodia from the early 19th century during the era of the Nguyễn lords, and most of the Vietnamese came to Cambodia during the periods of French colonial administration and the People's Republic of Kampuchea administration. During the Khmer Republic and Khmer Rouge governments in the 1970s, the Vietnamese were targets of mass genocides; thousands of Vietnamese were killed and many more sought refuge in Vietnam. Ethnic relations between the Khmers and Vietnamese are poor, and the Vietnamese have been the main target of xenophobic attacks by political parties since the 1990s. Most of the Vietnamese are stateless residents of Cambodia, and as a result they face difficulties in getting access to education, employment and housing. A boathouse is a building especially designed for the storage of boats, normally smaller craft for sports or leisure use. These are typically located on open water, such as on a river. Often the boats stored are rowing boats. Other boats such as punts or small motor boats may also be stored. Cochinchina is a region encompassing the southern third of current Vietnam whose principal city is Saigon. It was a French colony from 1862 to 1954. The later state of South Vietnam was created in 1954 by combining Cochinchina with southern Annam. In Vietnamese, the region is called Nam Bộ. Historically, it was Gia Định (1779–1832), Nam Kỳ (1834–1945), Nam Bộ (1945–48), Nam phần (1948–56), Nam Việt (1956–75), and later Miền Nam. In French, it was called la colonie de Cochinchine. 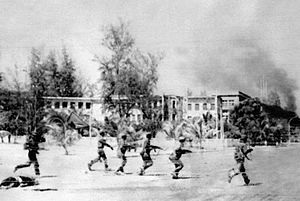 The Japanese invasion of French Indochina was a short undeclared military confrontation between the Empire of Japan and the French State in northern French Indochina. Fighting lasted from 22 to 26 September 1940, simultaneous with the Battle of South Guangxi in the Sino-Japanese War. Marshal Lon Nol was a Cambodian politician and general who served as Prime Minister twice, as well as serving repeatedly as Defense Minister. He led the military coup of 1970 against Prince Norodom Sihanouk and became the self-proclaimed President of the U.S.-backed Khmer Republic, ruling until 1975. He was the founder and leader of the short-lived Social Republican Party, and commander-in-chief of the Khmer National Armed Forces. After the Khmer Rouge took power, Lon Nol fled to the United States, and remained there until his death in 1985. 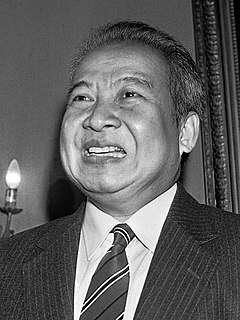 The Cambodian coup of 1970 refers to the removal of the Cambodian Head of State, Prince Norodom Sihanouk, after a vote in the National Assembly on 18 March 1970. Emergency powers were subsequently invoked by the Prime Minister Lon Nol, who became effective head of state, and led ultimately to the proclamation of the Khmer Republic later that year. It is generally seen as a turning point in the Cambodian Civil War. 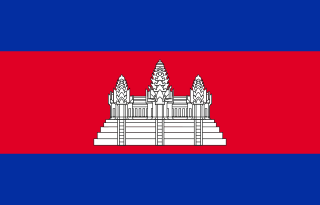 No longer a monarchy, Cambodia was semi-officially called "État du Cambodge" in the intervening six months after the coup, until the republic was proclaimed. The Khmer Republic was the pro–United States military-led republican government of Cambodia that was formally declared on 9 October 1970. Politically, the Khmer Republic was headed by General Lon Nol and Prince Sisowath Sirik Matak that took power in the 18 March 1970 coup against Prince Norodom Sihanouk, then the country's head of state. The Buddhist Liberal Democratic Party (BLDP) was a Cambodian political party founded in 1993 by former Cambodian Prime Minister Son Sann. The BLDP was created as a successor to the Khmer People's National Liberation Front (KPNLF), an anti-communist group also started by Son Sann. Hun Sen is a Cambodian politician and the Prime Minister of Cambodia, President of the Cambodian People's Party (CPP) and Member of Parliament (MP) for Kandal. He has served as Prime Minister since 1985, making him the world's second longest-serving prime minister, the longest-serving head of government of Cambodia and one of the longest-serving leaders in the world. From 1979 to 1986 and again from 1987 to 1990, Hun Sen also served as Cambodia's foreign minister. His full honorary title is Samdech Akka Moha Sena Padei Techo Hun Sen. Born Hun Bunal, he changed his name to Hun Sen in 1972 two years after joining the Khmer Rouge. Sam Rainsy is a Cambodian activist and politician who most recently served as the Leader of the Opposition. He is now the president of the Cambodia National Rescue Movement (CNRM), launched in January 2018. He was a Member of Parliament (MP) for Kampong Cham, first from 1998 until 2005, then from 2008 to 2011, and finally from 2014 until 2015; he has been revoked of parliamentary immunity three times. He was previously the MP for Siem Reap from 1993 until 1995 when he was expelled from the Constituent Assembly. A co-founder of the Cambodia National Rescue Party (CNRP), Rainsy was previously a member of the royalist Funcinpec Party and served as the Minister of Economy and Finance during Norodom Ranariddh's administration from 1993 until his sacking in 1994. In June 1995, he was expelled from the National Assembly, and formed the Khmer Nation Party (KNP), which changed its name before the 1998 elections to the Sam Rainsy Party (SRP) to avoid registration issues. From 2000 to 2002 and again from 2012 to 2014, Rainsy was the chairperson of the Council of Asian Liberals and Democrats. 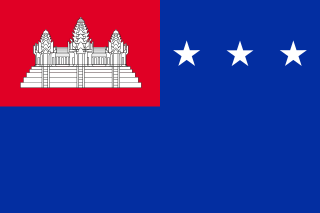 General elections were held in Cambodia between 23 and 28 May 1993. The result was a hung parliament with the FUNCINPEC Party being the largest party with 58 seats. Voter turnout was 89.56%. 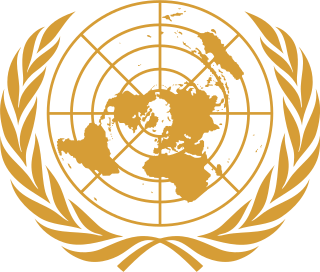 The elections were conducted by the United Nations Transitional Authority in Cambodia (UNTAC), which also maintained peacekeeping troops in Cambodia throughout the election and the period after it. The Cambodia National Rescue Party, commonly abbreviated as CNRP, was a major political party in Cambodia. It was founded in 2012 as a merger between the Sam Rainsy Party and Human Rights Party. Anti-government protests were ongoing in Cambodia from July 2013 to July 2014. Popular demonstrations in Phnom Penh have taken place against the government of Prime Minister Hun Sen, triggered by widespread allegations of electoral fraud during the Cambodian general election of 2013. Demands to raise the minimum wage to $160 a month and resentment at Vietnamese influence in Cambodia have also contributed to the protests. The main opposition party refused to participate in parliament after the elections, and major demonstrations took place throughout December 2013. A government crackdown in January 2014 led to the deaths of 4 people and the clearing of the main protest camp. 1 2 Post Staff (25 March 2005). "Vanquished in the 70s, Catholic Church still on the mend". Phnom Penh Post. Retrieved 27 February 2015. ↑ Peter Olszewski (9 December 2011). "Man About Town". Phnom Penh Post. Retrieved 7 March 2015. ↑ ALEX WILLEMYNS (14 August 2014). "Kampuchea Krom Protests Speak to Larger Fears". The Cambodia Daily. Retrieved 2 August 2015. ↑ Bennett Murray (14 February 2014). "Nowhere to call home". Phnom Penh Post. Retrieved 2 August 2015. Corfield, Justin (2009). The History of Cambodia. ABC-CLIO. ISBN 0313357234. Heder, Stepher R.; et al. (1995). Propaganda, Politics and Violence in Cambodia: Democratic Transition Under United Nations Peace-Keeping. M.E. Sharpe. ISBN 0765631741. Harris, Ian (2008). Cambodian Buddhism: History and Practice. University of Hawaii Press. ISBN 0824832981. Kuhnt-Saptodewo, Sri (1997). Nationalism and Cultural Revival in Southeast Asia: Perspectives from the Centre and the Region. Otto Harrassowitz Verlag. ISBN 3447039582. Schliesinger, Joachim (2015). Ethnic Groups of Cambodia Vol 2: Profile of Austro-Asiatic-Speaking Peoples. Booksmango. ISBN 1633232379. Willmott, William E. (1967). The Chinese in Cambodia. Publications Centre: University of British Columbia. ISBN 0774844418. Amer, Ramses (2013). "Domestic Political Change and Ethnic Minorities - A Case Study of the Ethnic Vietnamese in Cambodia" (PDF). Asia-Pacific Social Science Review. Institute for security and development policy, Sweden. 3 (2): 87–101. Retrieved 1 March 2015. Ang, Chanrith (March 2014). "LIMBO ON EARTH: An Investigative Report On the Current Living Conditions and Legal Status of Ethnic Vietnamese in Cambodia" (PDF). Minority Rights Organisation. Retrieved 2 March 2015. Ehrentraut, Stefan (2013). "Challenging Khmer Citizenship: Minorities, the State, and the International Community in Cambodia" (PDF). Asia-Pacific Social Science Review. Universität Potsdam. doi:10.1080/01419870.2010.537359. Archived from the original (PDF) on 2 April 2015. Retrieved 1 March 2015. Goscha, Christopher E. (2008). "Widening the Colonial Encounter: Asian Connections Inside French Indochina During the Interwar Period" (PDF). Modern Asian Studies. Cambridge University Press: 1–40. doi:10.1017/S0026749X0800351X. Archived from the original (PDF) on 30 December 2013. Retrieved 1 March 2015. Pen Socheat and Heng Phally (July 2014). "Cambodia Socio-Economic Survey 2013" (PDF). National Institute of Statistics, Ministry of Planning, Government of Cambodia. Retrieved 2015-01-16. Tabeau, Ewa (30 September 2009). "Demographic Expert Report - Khmer Rouge Victims in Cambodia, April 1975 - January 1979 - A critical Assessment of Major Estimates" (PDF). Extraordinary Chamber in the Courts of Cambodia . Retrieved 1 March 2015.